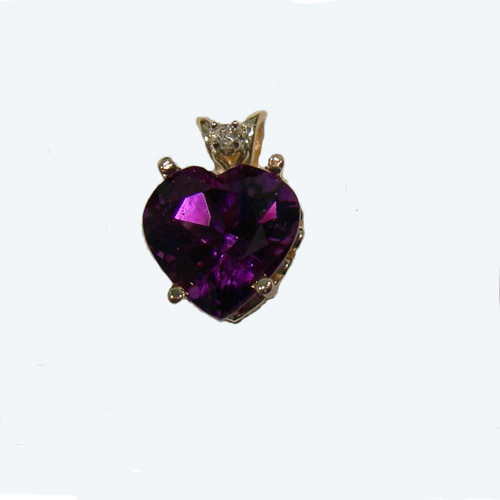 Desc: 14 karat yellow gold heart shaped Amethyst and diamond pendant. The 3.20 carat heart shaped Amethyst is prong set in the center and the 0.03 carat diamond is prong set above the amethyst. The bale is rabbit ear design.